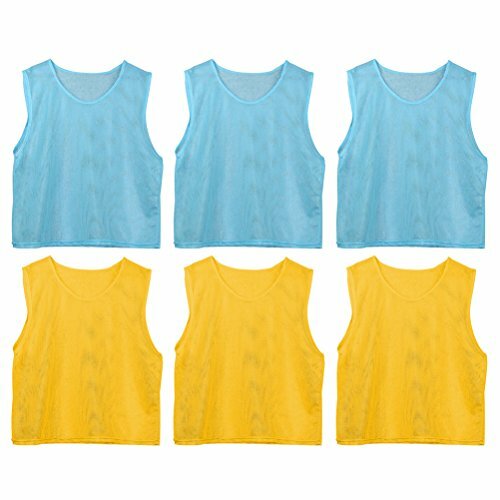 These practical and nice-looking sports vest are manufactured with premium material that is soft for kids to wear. You'll love this team exercise vest top very much with its mesh design and comfortable texture. Do you want a breathable and shockproof exercise vest for kid? This definetely a good choice for you. - Color: Yellow And Light Blue. - Size: Approx. 56 x 49 x 0.5cm (L x W x H). Breathable and sweat-absorption. Nice sporting vset tops for choice. Fashion-forward ergonomic designs with impeccable stitching. Highly compact and breathable, comfortable for wearing. Perfect vest tops for football training, running, jumping and other exercise activites.